The PEI Government just announced their Climate Change Action Plan for our Island. I’m glad action is finally being taken after more than a decade of mostly talk. However, my main criticism is that MacLauchlan’s Liberal government appears to be actually setting the bar lower when it comes to reducing carbon emissions! The old target was to reduce GHG (Green House Gas) emissions by 35-45% below 1990 levels by 2030. As per the data below this means a target reduction of 40% * 1.9 Megatons = 0.76 Megatons by 2030. The new target is to reduce GHG emissions by 30% below 2005 levels by 2030. Using the data below this works out to a target reduction of 30% * 2.1 Megatons = 0.63 Megatons by 2030. This means that the provincial target is going from a 0.76 Megaton to only a 0.63 Megaton reduction – a target that is a full 17% less. 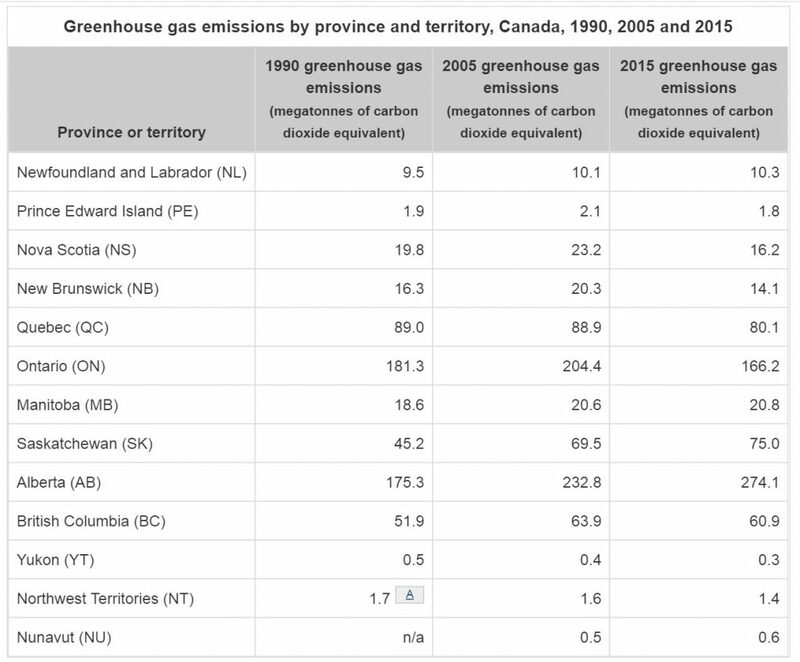 Given the amazing work done by Islanders to reduce GHG’s (mostly prior to 2008) via wind farms and the like, and the potential for more of the same, I’d say the target should be at least on par with the previous target. With the great strides PEI has taken in GHG emission reduction I would also argue that a carbon tax is not needed.